Tekashi 6ix9ine is Currently doing time behind bars but that's old news. His debut album "Dummy Boy" leaked a few days ago but that's also old news. What's new is the 22-year old rapper has just dropped his debut album officially. The 13-track project which was supposed to arrive Black Friday (Nov. 23) features appearances from Nicki Minaj, Kanye West, Tory Lanez, Bobby Shmurda, Gunna, Lil Baby and A Boogie Wit Da Hoodie. 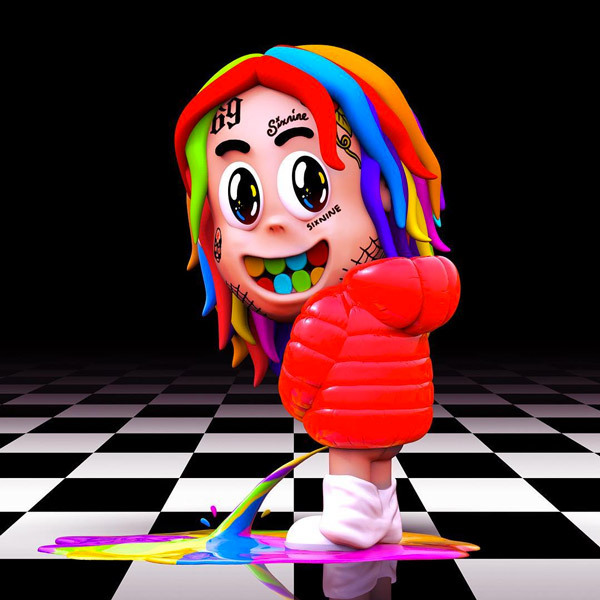 The new album is being released through Tekashi’s label Scumgang Records via Create Music Group. 6ix9ine pleaded not guilty to racketeering and firearms charges on Monday (Nov. 26) and is likely to stay locked up until his next trial date, which is in September of 2019.